This would be even funnier if it weren't so true... Have a great weekend. In an earlier post, I talked about how people come to me frequently with their product ready. Sometimes even with their strategy "ready." But too often they haven't done the hard work of perfecting (or at least nearly perfecting) their product before they worry about marketing... If they did that, it would be amazing how much more effective their product would be. 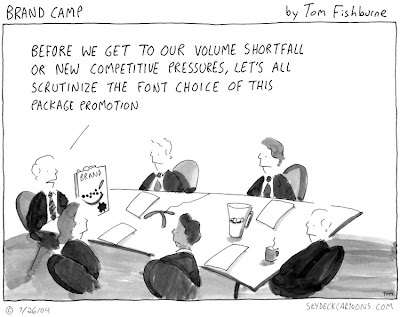 Cartoon credit to Tom Fishburne and his fun website.